Regala culture, art gives, gives laughter, theater, illusion, magic, concert… Regala our cans of Culture and surprises! 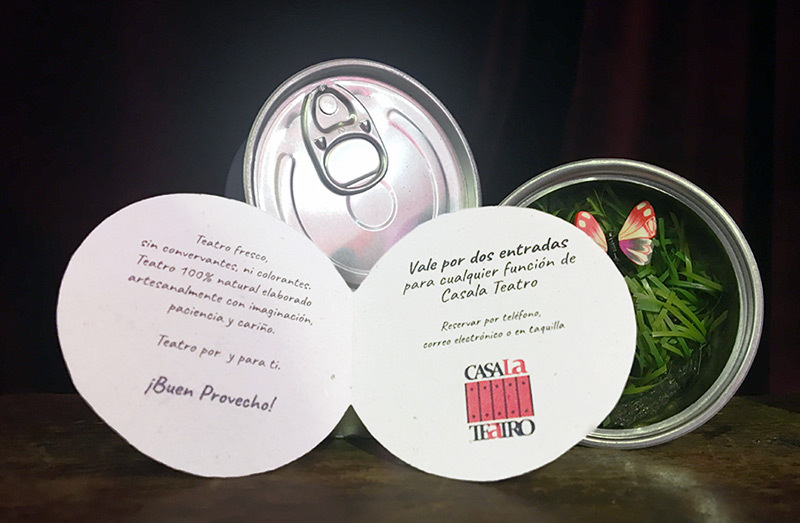 HomeWish now you can acquire Theater “Cans of Culture” to give to whoever you want a can with 2 tickets to a play, a concert, a children's show… any show programming Casala Theater. They are also “Cans of Magic” so you regales course of a month Magic Magic School of Seville, HomeWish. The 4th edition of the courses begin in January for adults and children. Ilusionante a Gift! Finally, the “HomeWish cans Custom " It is the star gift. Give the experience of a private show in a real theater. Theater is closed for you and 28 seats will be reserved for a show as. Surprise parties, anniversaries, retirements, demonstrations of love, birthday… in a theater exclusively for you. For sale at the box office Casala Theater. 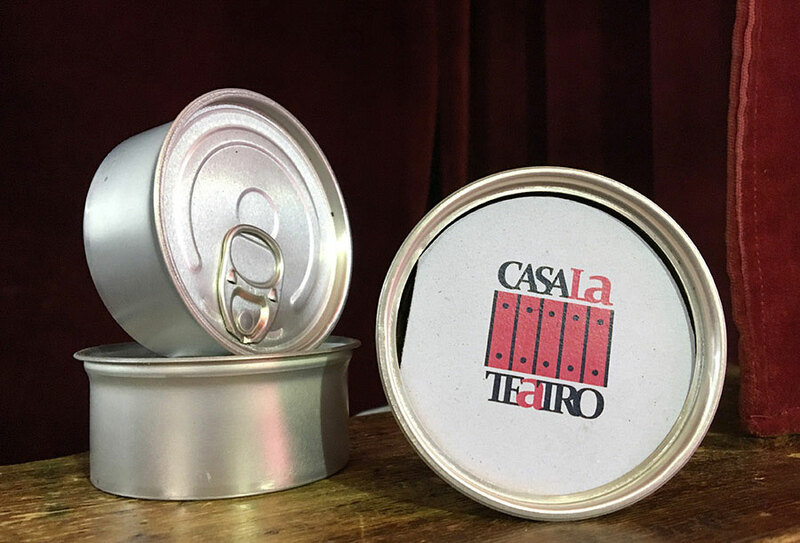 You can book your “Casala cans Theater” in cell 651 64 34 657 31 55 or the 68 64.
cool theater, without preservatives or colorings. Teatro 100% natural hand-crafted with imagination, patience and love. Theater and you.